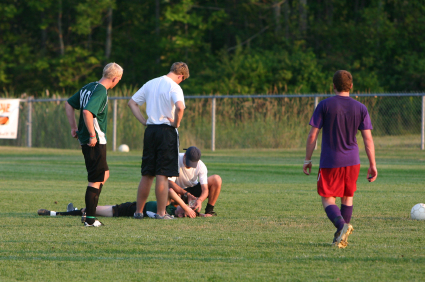 No injury in sports has received as much media attention in recent years as concussions. Lawsuits of former NFL players, links to possible suicides, and attention on concussions in girls’ sports and young kids have made concussions one of the most debated topics in sports. But are these brain injuries actually occurring more often? A study presented Thursday at the American Orthopaedic Society for Sports Medicine’s Annual Meeting suggests that they are, at least in college football. CPT Kelly G. Kilcoyne, MD et al. studied the numbers of concussions reported during college football practices and games at the United States Military Academy, the United States Naval Academy, and the United States Air Force Academy for two consecutive seasons, 2009 and 2010. The authors chose to study those particular seasons in order to examine the effects of a new NCAA concussion management plan. On April 29, 2012 the NCAA Executive Committee adopted a plan requiring each institution to have a formal plan for management of concussions by their athletic teams. Three significant policies were included as part of these guidelines. Under the new plan, all student-athletes sign statements that they will report all signs and symptoms of concussions to the team’s medical staff. Athletes must have baseline cognitive testing, and post-injury cognitive testing is strongly recommended. The athletes diagnosed with concussions must be removed from sports for a minimum of one day, and return to play is determined by the team physicians. As one might expect, the authors did, in fact, observe a significant increase in the concussions reported after the NCAA policy was instituted. The concussion incidence rate for the three college football teams essentially doubled from 0.56 per 1000 exposures in 2009 to 1.16 per 1000 in 2010. In absolute numbers, the three teams reported 23 concussions in 2009 and 42 in 2010. One could argue that this increase from one season to the next could be a statistical anomaly. The rise could reflect a real increase in brain injuries in football as well. But I think what this data really illustrates is how concussions were often ignored, or at least not reported, in the past. The new NCAA guidelines place much more responsibility on the coaches and the players to recognize the signs and symptoms of concussions. Even more importantly these athletes and coaches have a duty to report them to the team’s medical staff. “The two-fold increase in the combined concussion incidence rate between the two consecutive seasons is striking. While the institution of a more formalized concussion plan on the part of medical staff is one possible factor, the largest difference may have been from previous under-recognition and under- reporting on the part of players and coaches prior to the new policy,” the authors noted. In my opinion, this study shows that coaches and athletes likely didn’t recognize concussions when they saw them. Or worse, they just didn’t report them. And I suspect that if this study had been performed in sports where head injuries are common, like soccer, rugby, and hockey, we would see a similar “increase” in concussions before and after this type of policy change. Certainly there is tremendous value in teaching athletes, parents, and coaches about the dangers of concussions to recognize their signs and symptoms. And the media attention on these injuries in pro sports will help to educate youth and recreational athletes. But maybe we need policies to require teams to report concussions and players to be evaluated by physicians. 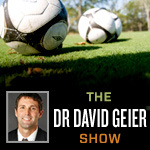 Maybe we need them in all sports, not just football, and for all ages and skill levels. Maybe then we can see just how common concussions in sports really are. What do you think? Are concussions happening more often? Are we worrying too much about concussions or focusing too much on them in the media? Share your thoughts below!